Posted with the kind permission of Dr. J. Ligon Duncan, As preached at First Presbyterian Church, Jackson, Mississippi. Lightly edited. 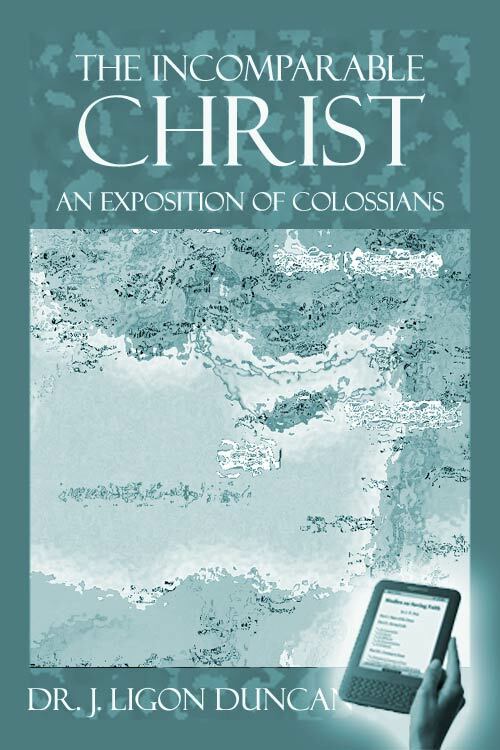 The book of Colossians is about the incomparable Christ. It is about the soul-sufficient Christ, the sovereign Christ in whom is everything that we need, in whom is everything that we have as Christians. Epaphras has visited Paul and one of the things that he has told Paul is that there are apparently new teachers, false teachers in the congregation which are confusing young converts. They are teaching an add-mixture of Christian truths with Jewish ritual practices and even pagan beliefs and practices. They are not outrightly denying Christ, but they are mixing the gospel of Christ with truth and error. It's a hodge-podge of things that they are teaching. So the Apostle Paul writes this letter to combat error, which was divisive in the church in Colossians, the Apostle Paul presses home one truth applied in a multiple variety of ways over and over again in the book and that one truth is the sole sufficiency of Christ to this error. Paul's antidote is the unfolding of the cosmic implications of Christ's absolute pre-eminence and directing us to the sole sufficiency of his saving work. Paul's one answer to this erroneous teaching is the person and work of Christ. For the message of the book of Colossians is that believers are complete in Christ and that faith in him necessarily rules out reliance on anything outside of him, anything subsidiary or under him. For nothing in the universe is outside the scope of his sovereignty and so the Apostle Paul sets forth before them the sufficient Christ, the solely sufficient Christ, the sovereign Christ and the incomparable Christ.